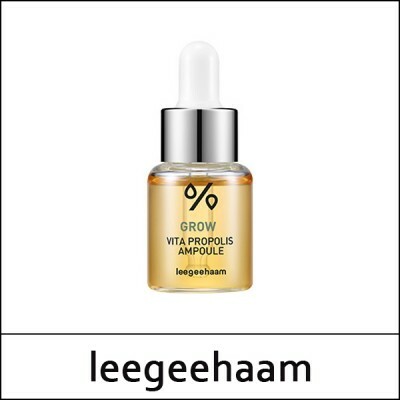 Beloved Vita Propolis Ampoule from LJH has been renewed to Grow Vita Propolis Ampoule! A multi-tasking, glow-creating serum ampoule packed with 50% Propolis extract and 20% Multi-vitamins. Perfect for giving an instant dewy glow to skin. It also revitalizes skin, helping to even tone, smooth texture and improve dullness. and Rose extract, this ampoule boosts the moisture and nutrient level and vitality, protects and firms skin. Spread a pea size amount onto skin in an outwards motion. We recommend to always use a sunscreen or BB Cream with SPF during the day time. 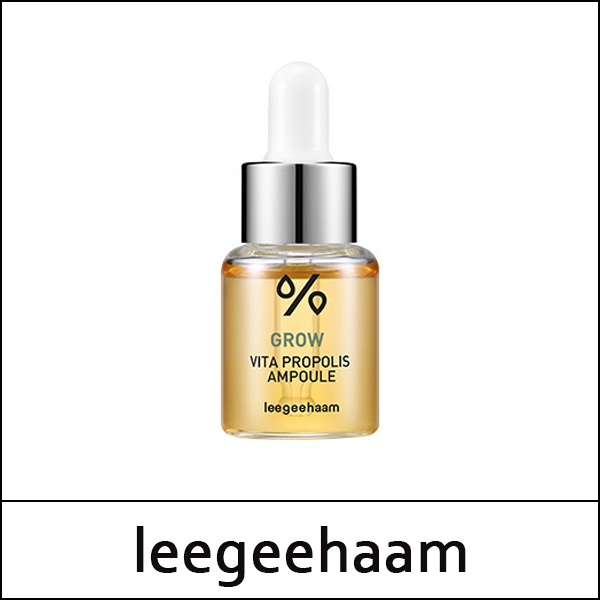 Add a drop of Vita Propolis Ampoule to your skincare routine, or to a BB/CC cream. but it surprisingly revitalizes the skin over time. and it doesn't feel like there is an extra layer of product.